Sleep Apnea Mouthpiece Texarkana | Stop Snoring Mouthpiece Texas | Sleep Apnea Treatment Arkansas - Andrew S. Curry, D.D.S. Snoring problem or Obstructive Sleep Apnea? Snoring may seem innocent enough, but did you know that it is actually one of the most common signs of sleep apnea? When left untreated, sleep apnea can be deadly, so if your partner is constantly complaining that you keep them up at night with your snores, then it might be time to visit your doctor. If you do have sleep apnea, it’s important to find the right treatment option. CPAP therapy is the most common treatment option for sleep apnea, but it’s not ideal for everyone. In fact, many CPAP users find it so uncomfortable to use their CPAP machine that they just don’t get the treatment they need, which puts them at risk. Have you found that CPAP therapy just isn’t for you? If so, you’ve come to the right place. Our dentist has helped many people find the effective, comfortable treatment options they’ve been looking for with our sleep apnea mouthpieces. Sleep appliances have been effective for many snorers, including those suffering from mild or moderate obstructive sleep apnea. Is a sleep apnea mouthpiece the right option for you? The initial consultation is free of charge, and there is no obligation. Your insurance will cover the cost of your stop snoring mouthpiece in most instances. Let Dr. Curry help you and your family get a better night of sleep with our sleep apnea treatment. Snoring doesn’t just keep your partner up at night. If your snoring is actually an indicator of sleep apnea, then it could be putting your health, wellness and frankly your life at risk. Leaving sleep apnea untreated is downright dangerous. If you’ve had trouble with CPAP therapy in the past, and you need a sleep apnea treatment option that works better for you, we may be able to help. Is our sleep apnea mouthpiece the right option for you? Find out by scheduling your appointment with our dentist in Texarkana! The consultation is free, and there are no obligations for you to commit to anything. Why choose Andrew S. Curry, D.D.S. for your sleep apnea treatment? 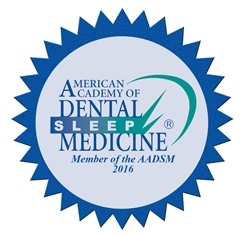 Dr. Curry is a member of the American Academy of Dental Sleep Medicine (AADSM), the only non-profit professional association dedicated exclusively to the practice of dental sleep medicine. Dr. Curry helps treat snoring and obstructive sleep apnea with oral appliance therapy, an effective treatment that is covered by most insurance plans. 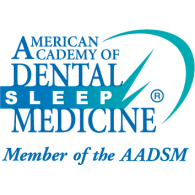 AADSM membership provides Dr. Curry with access to educational resources and practice management tools that help him better serve his patients by providing the highest quality of care in the treatment of snoring and obstructive sleep apnea. For more information about AADSM, visit www.aadsm.org. If you snore or have obstructive sleep apnea, don’t put off finding the effective treatment you need. Turn to Dr. Curry to learn more about our sleep apnea mouthpieces and find out if it’s the right treatment option for you. Schedule your consultation today.